Friday afternoon we drove down to Tri-Cities to visit my husband's sister and her family. It just so happened that all adult women, young women, and girls ages 8 and up in the area's fourteen stakes were invited to a devotional fireside that evening, so I tagged along with my sister-in-law and my ten-year-old niece. 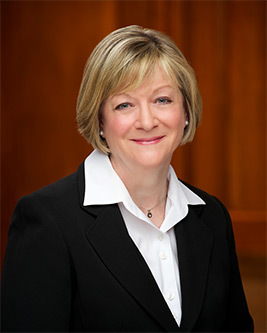 The speakers were Jean A. Stevens, the first counselor in the Primary general presidency; Bonnie L. Oscarson, the brand new Young Women general president; and Linda K. Burton, the general president of the Relief Society. I don't know that I've ever attended another meeting where representatives from each of the three auxiliaries led by women spoke. That doesn't even happen in General Conference! Sr. Stevens spoke first and talked about what we all have in common as sisters in the gospel. She encouraged us to review our baptismal covenants daily, reading 2 Nephi 31:17-18 and Mosiah 18:8-10 to remind us how to get on and stay on the gospel path. She also urged us to actively look for ways to fulfill those covenants every day, sharing stories about girls, young women, and women who were "bear[ing] one another's burdens" and "stand[ing] as witnesses of God" and "comfort[ing] those that stand in need of comfort." She related a quote she heard from Elder Christensen: "Children of the light do not sit passively in the darkness. They have the courage to stand up and stand out." Sr. Stevens added "and reach out" to the end of that statement. We need to take action to reach out and serve others, to keep our covenants. Then President Oscarson stood up and told us how nervous she was; this is her first trip since being sustained at the beginning of April! Since her call two months ago, she said she has been filled with love for all the young women of the Church and she prays every day that they will feel the love Heavenly Father has for them. She spoke about her experiences as the temple matron of the Stockholm Sweden temple and her love for the temple, which she described as a symbol of Heavenly Father's love for all His children. 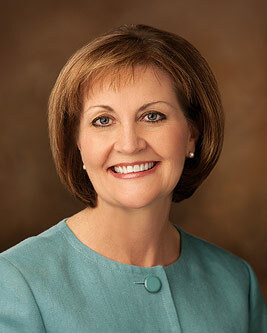 Sitting in a stake center right next to the Columbia River Temple in Tri-Cities, she advised those who were able, to set a regular time to attend the temple and commit to it. Reading from the Doctrine and Covenants 109:22, she promised power to those who attend the temple and keep their covenants, and quoted President Packer who said, "temples are the very center of the spiritual strength of the Church". Finally, President Burton took the stand and declared that "we are all in this together" and "we can do this together". She shared stores of women in the scriptures who were covenant keepers, including the little maid of Naaman (2 Kings 5:3), Rebekah (Genesis 24:20), and Sariah (1 Nephi 5:8), as well as stories of modern women who have reached out to help others, or been blessed for their faithfulness. She urged us to write our own stories down so they can provide support and comfort to those who come after us. She emphasized that "we're here to bless each other, we're not here just for ourselves" and that we need to be daughters in His kingdom, with both feet and whole-heartedly. Elder Risenmay, an area authority seventy, closed the meeting with a few comments based on Moses 5:1. As Adam and Eve labored together, so men and women should work together in the Church today to serve and build the kingdom. Each of us, he stated, has the ability to become like our Heavenly Parents. At the very end of the meeting, as we were getting ready to leave the incredibly crowded building and fight the traffic to get out of the incredibly crowded parking lot, the brother conducting held up a cell phone and announced that a pink cell phone had been found in the parking lot. If anyone recognized it, they were to come up to the pulpit. It was my sister-in-law's phone. 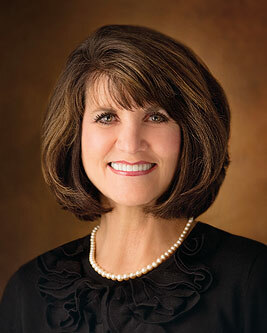 Thank you so much for accepting the assignment this past spring to be the first woman to ever pray in General Conference. It may seem like such a small and insignificant thing, but "by small and simple things are great things brought to pass" (Alma 37:6) and it meant a great deal to many women, including me. Thank you! I'm grateful for these wonderful, faithful, strong women and their examples and words of counsel and guidance, and it was an absolute thrill to have the chance to actually meet them. I so wish we had more opportunity to hear from them and learn from their wisdom and experience.